The School of Nursing at UNC Charlotte proudly celebrates our newest alumni by welcoming them into the profession each semester in a formal way. The graduating students are recognized for their compassion, their dedication to the profession, and their community service. At this critical time in a nurse’s journey, the SON faculty feel committed to launching their careers in a profound and heartfelt way. As a state institution, UNC Charlotte has had to do more with less in recent years, and a celebration of this kind may seem superfluous. On the contrary, the visceral awareness of moral distress and turnover in the first year of a nursing career inspires us to build their resilience in any way we can. The School of Nursing needs your help in supporting the bi-annual White Coat Ceremony to achieve these goals. The money raised during this campaign will help cover the costs of new lab coats for all graduates, pay for personalized embroidery of each graduate's name on their coat, and help off-set the cost of the ceremony. No simple uniform, the white coat symbolizes an official acceptance into a paramount profession at a critical time. The shortage of nurses in an ever-growing concern nationally as well as locally. Additionally, taking the time to express to our graduates that we, collectively, welcome them to the profession, is a wonderful way to establish a cohesiveness between the students, the School of Nursing and the University. Give today and help welcome the School of Nursing's newest graduates into the Nursing profession. Your gift of $25 will help to sponsor the white coat ceremony for one Nursing student. Your gift of $50 will help to sponsor the white coat ceremony for one Nursing student AND fund the purchase and personalized embroidery for one Nursing student. 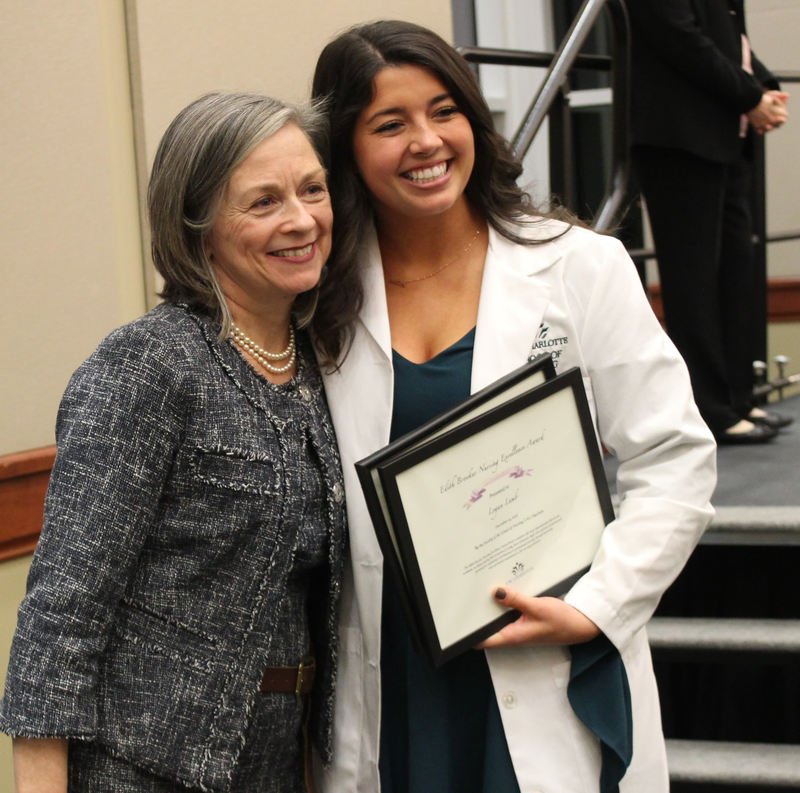 Your gift of $100 will help to sponsor the white coat ceremony, fund the purchase and embroidery of a white coat for one Nursing student, AND provide the opportunity to insert a personal note of congratulations or encouragement to a Nursing student in the white coat's pocket.